I think we're all very familiar how Shizens is an exclusive brand and in today's blog post, I'll be sharing with you a thing or two about the latest collection, the Shizens VISAGE Collection. One thing that I admire most about Shizens would be that the brand believes that everyone has a unique natural beauty that should not be concealed but instead to be highlighted with talking about make up. With the aim to enhance instead of concealing, I believe that Shizens sets a good example to embrace uniqueness. March is indeed an exciting month for Shizens as they just introduced the new Shizens VISAGE Collection that brings out natural beauty by pampering your skin. 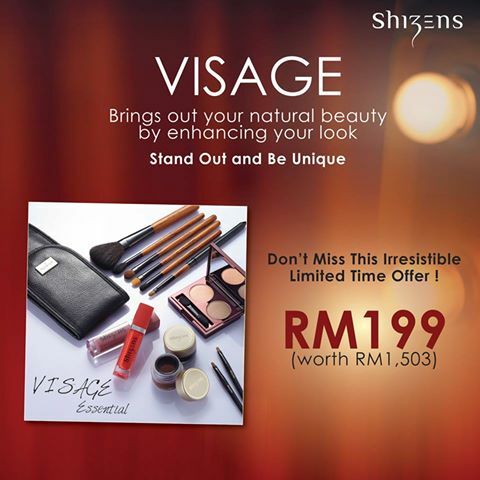 Within the VISAGE collection, it comprises of Shizens skincare and make-up products that require minimal effort when it comes to unleashing the beauty that you never knew you had. With 9 products in this collection, in which I will only be reviewing a section of their makeup series. <----- makeup sucker right here. Now it's review time! 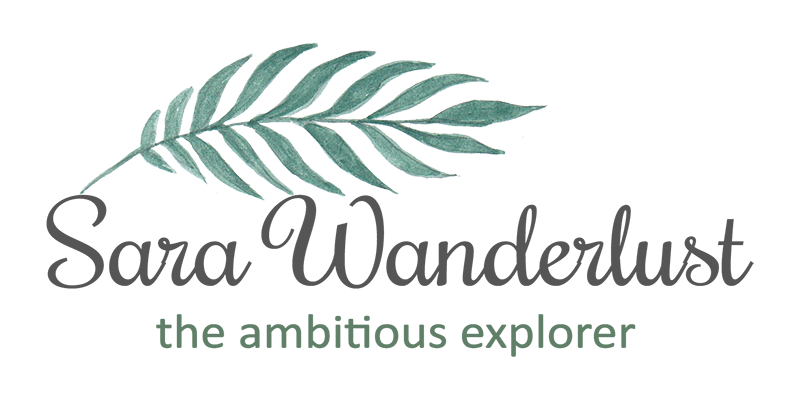 Today I will be reviewing the Natural Pore Nutrient Foundation PRO, the Hue-Duo Eyeshadow in Sepia Pink, the Aqua Eyeliner in Brown and the Smack Lips in Cherry Blossom. How pretty is this foundation stick? First up for review would be the Natural Pore Nutrient Foundation PRO. Upon getting this, I was actually really excited cause this is my first foundation that comes in a form of a stick! If you're looking for something easy to spread around your face, well this might be the answer. The casing is super chic and I love how it's very compact compared to my usual liquid foundation. Not to also forget that it makes it really easy to apply foundation too. And this is me wearing the foundation, blends pretty well with my skin too! Upon application, I have to admit that its extremely light weight that leaves my skin looking sheer and oil free! Not to forget that the coverage is surprisingly impressive. This foundation is 100% talc-free making it the perfect foundation to cover fine lines and pore imperfections. But above it all, did you know that this product contains vitamin E? So yes, I would have to say that this kills two birds with one stone as it covers and pampers the skin. Wouldn't you think that my skin looks like its naturally glowing? Next up would be the Hue-Duo Eyeshadow which I got myself in Sepia Pink. I usually go for smoky shades, but I'm gonna give k-pop beauty ago in something pinky. Like, why not? Packaging is actually pretty simple, but I'm more concern about the content and pigment of the formulation. Upon swatching it, I actually like how the pigmentation is good, and very blendable too, making it suitable for Day/Night looks. I never really thought that the shade would look good on me, but surprisingly it matched my skin tone pretty well. Don't you think so? To complete your eye make-up, the aqua liner does just the trick! This happens to be Shizens brand new Aqua eyeliner, a cushion typed liquid eyeliner that has been designed to be smudge-proof and long-wearing up to 12 hours! I gave it a swatch test and I LOVE that it's quick drying! The pigment is really good, and did you know that each purchase of this comes with an eyeliner brush too? Brush away to get sharper, bigger eyes with this! I got mine in Brown cause I personally think that brown looks more natural if you ask me. Brighter than my usual shades, but it actually looks pretty good. Wont you agree? And to complete your entire look, how can we forget to smack some color to your lips? I got mine in cherry blossom, which at first I thought looked too barbie pink for me, but thanks to its unique formulation (i assume), I have to say that it suits almost any skin tone pretty well. It's designed to be long-wearing that leaves a matte finish. It contains coconut oil and sunflower butter to lock in moisture in your lips, so if you have flaky lips, this would prevent your lips from peeling by locking in moisture effectively. YAY! In terms of texture, LOVE! Usually, matte finishing lip creams can be pretty drying on my lips, but to my surprise, this is not at all drying and it leaves my lips feeling smooth and moisturized. Dont miss out on this irresistale offer! If you would love to own a quarter of the Shizens VISAGE Collection, Shizens is having an ongoing promotion with an irresistible introductory set. At only RM199, you'll get 2 Smack Lips in Plum Wine and Orange Tango, 2 Aqua Liners in Black and Blown, a Hue Duo Eyeshadow in Mocha Glow and a set of Shizens professional brush (6 brushes) which values up to RM1,503! Be sure to grab this rare promotion as it's only available from 1st March to 31st May 2017 at major Shizens stores. What to eat at Citta Mall?